Set in the beautiful Welsh countryside The Seven Stars is conveniently located in the centre of Hay-on-Wye "The second hand book capital of the world"
Restaurant We serve a wide and varied breakfast menu. All of our products are locally sourced providing quality ingredients. Our menu includes homemade compote, traditional and vegetarian cooked breakfast; award wining fish from the local "Black Mountain Smokery". Swimming Pool we have a heated indoor swimming pool which is kept at a balmy 31 degrees and a sauna. We are the only accommodation in Hay-On-Wye which has this facility. Seven Stars Guest House Hay-on-Wye. Tastefully decorated rooms supplied with towels, coffee and tea making. We serve a wide and varied breakfast menu. All of our products are locally sourced providing quality ingredients. Our menu includes homemade compote, traditional and vegetarian cooked breakfast; award wining fish from the local "Black Mountain Smokery". 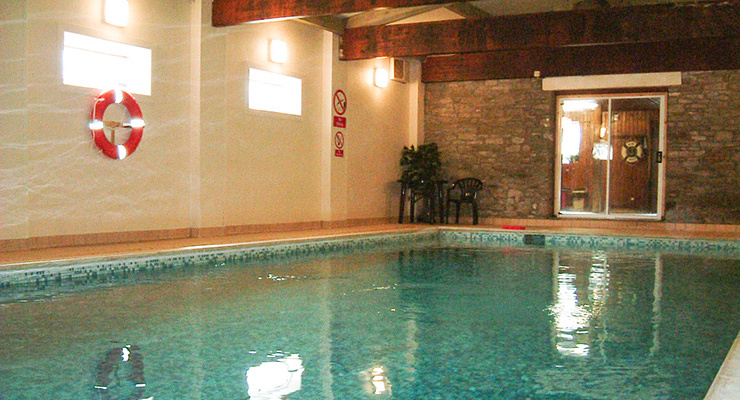 Swimming pool - we have a heated indoor swimming pool which is kept at a balmy 31 degrees and a sauna. We are the only accommodation in Hay-On-Wye which has this facility. 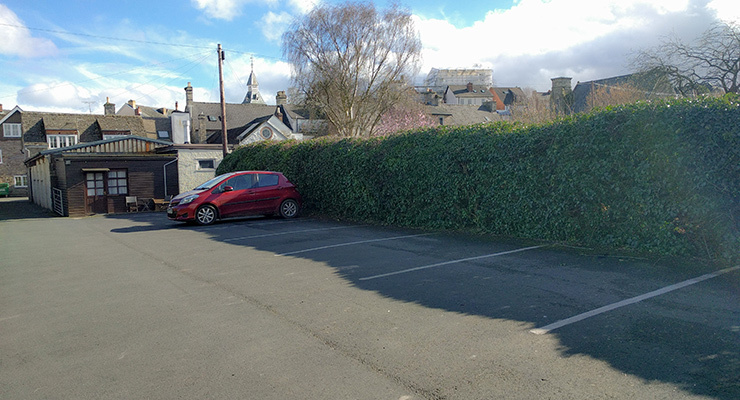 Private car park situated at the rear of the building for guests use. Seven Stars Special Offers Winter Offers. 3 nights for 2 mid week Nov, December & January excluding school holidays. 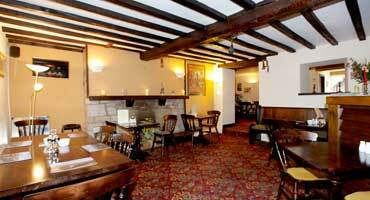 "Would definately recommend this B & B, the breakfasts are fab! 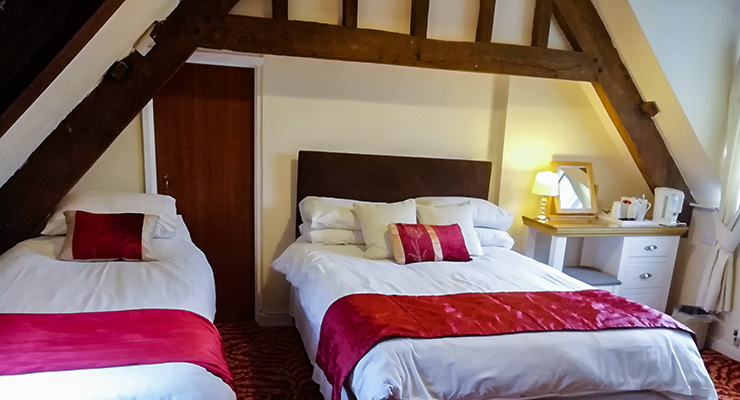 Giles, Warwick "
"My family and I spent one night at this inn on the 8th of November and we thoroughly enjoyed our stay"
"amazing breakfasts at the Seven Stars. Really hope to go back for another break next year"
Set in the beautiful Welsh countryside The Seven Stars is conveniently located in the centre of Hay-on-Wye "The second hand book capital of the world"! Stay up to date with our latest news and offers by signing up to our newsletter.